Sitting on the ball will help keep the baby properly aligned in the pelvis. Use the stand provided for additional safety as pregnancy can shift your center of gravity. Using the Baby Bouncy ball during labor may speed up dilation and improve progress during labor. *Before you begin use consult your physician for permission. 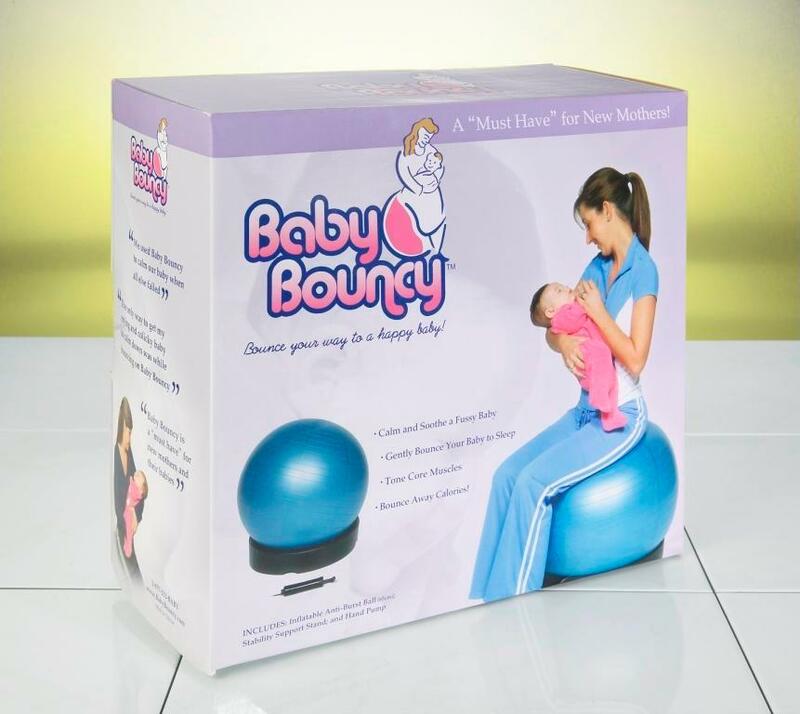 The stability stand is provided for added safety to keep the ball still while parents are sitting on the ball and while bouncing their baby. The stand comes in 4 pieces that easily snap together to create a circle to prevent the ball from rolling. These pieces can be taken apart quickly and easily which makes them great for those who would like to travel with their Baby Bouncy. I found my baby liked to be gently bounced while being held to get her to sleep. Baby Bouncy allows me to do just that as well as tone my body after pregnancy. Copyright ©2013-2014, Baby Bouncy Inc. All rights reserved.